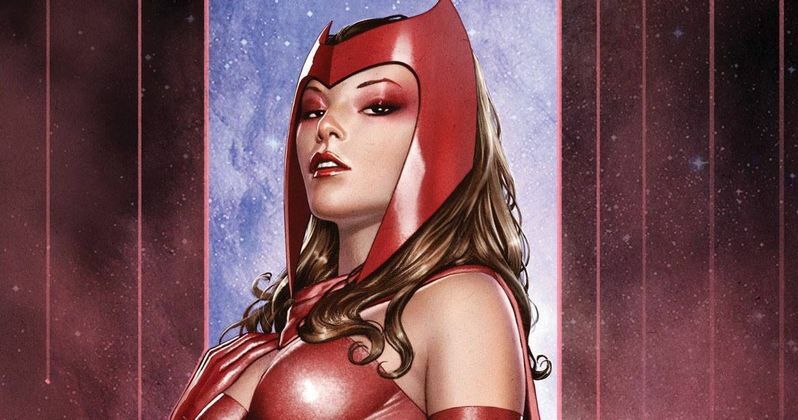 While director Bryan Singer revealed this week that he will not be doing press for X-Men: Days of Future Past, due to allegations of sexual abuse, the filmmaker recently spoke with Empire Magazine, where he clarified that Scarlet Witch will not be appearing in the sequel. We have previously seen footage of Quicksilver (Evan Peters) interacting with a young girl, who many fans believed was a young Scarlet Witch. However, the filmmaker revealed that she is not Scarlet Witch, but the mutant siblings' younger sister. "Is that the Scarlet Witch? No, that's his little sister. I even had a line which I cut, where Quicksilver's mother says to the little girl, 'Go up and bug your sister,' and the little girl says, 'She bugs me!' You never see the older sister, but it was to imply that there is an older sister for comic bool fans. I ended up cutting it." While it isn't known whether or not Scarlet Witch will appear in the forthcoming sequel X-Men: Apocalypse, the director revealed that Quicksilver will likely come back. "Even though our Quicksilver is not a main character like in The Avengers, it's a character there's a lot of thought and concern about and it's a character I'd like to explore further in the sequel." Both Marvel Studios and 20th Century Fox share the rights to both Quicksilver and Scarlet Witch, who will both be appearing in Marvel's Avengers: Age of Ultron, with Aaron Taylor-Johnson and Elizabeth Olsen playing the mutant siblings. As a part of this deal between Marvel and Fox, Marvel cannot address the characters' mutant origins, who were fathered by Magneto, and Fox can't delve into their story arcs where they join the Avengers.